Josef Finsterer and Sinda Zarrouk-Mahjoub contributed equally to this work. We read with interest the article by Inbar-Feigenberg about two siblings carrying the same POLG1 mutations inherited from their consanguineous parents. Both siblings presented with cerebellar atrophy (Inbar-Feigenberg et al. 2018). We have the following comments and concerns. Cerebellar atrophy is a common CNS manifestation of mitochondrial disorders (MIDs) and has been reported in specific and non-specific MIDs. Specific MIDs associated with cerebellar atrophy include MELAS, MERRF, Leigh syndrome, MIDD, NARP, CPEO and CPEO plus, KSS, LHON, IOSCA, PCH6, ADOA, and DIDMOAD (Table 1). In non-specific MIDs cerebellar atrophy was reported in patients carrying mutations in the RARS2, SLC25A46, CoQ10, and EXOSC3 genes respectively (Bindu et al. 2015). Mutations in the POLG1 gene have been also repeatedly reported in association with cerebellar atrophy (Mehta et al. 2011). Cerebellar atrophy may go along with or without clinical manifestations. The authors mention a stroke-like lesion (SLL), the morphological equivalent of a stroke-like episode (SLE) in the cerebellum of patients carrying POLG1 mutations (Inbar-Feigenberg et al. 2018). However, SLLs typically occur supratentorially and are characterised by DWI and ADC hyperintensities. When searching Pubmed for cerebellar SLLs, no hit could be achieved. Thus, it would be interesting to know if the authors have ever observed a cerebellar SLL in their MID cohort. Which were the clinical manifestations of the cerebellar SLE, were NO-precursors given, did they exhibit a beneficial effect on the clinical manifestations, and which was the outcome? Since POLG1 mutations usually manifest as multisystem disease, we should be informed about the entire phenotype of the two siblings. 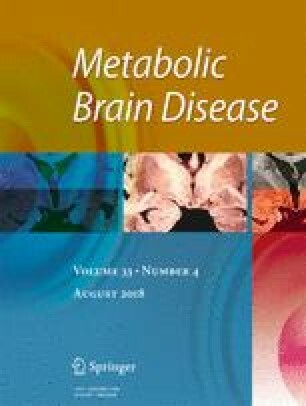 Particularly we would like to know which organs other than the brain were affected, which pattern of organ involvement was observed during the course, and if there was phenotypic heterogeneity between the two siblings. POLG1 mutations may additionally manifest in the ears as hypoacusis, in the skeletal muscle, peripheral nerves, eyes, gastrointestinal tract, endocrine organs, and the skin (Finsterer and Scorza 2018). Did each of the consanguineous parents carry the mutation? Were other first-degree family members clinically affected? What about the grandparents of these siblings? Were blood test ever carried out in sibling-1? Was parathormone normal? Was there pituitary insufficiency? Was there growth hormone deficiency? Were the parents phenotypically striking? Which was the cause of death in sibling-1 after delivery? It is mentioned that there were intrauterine seizures (Inbar-Feigenberg et al. 2018). Did sibling-1 also present with seizures during the short period of his postnatal life? Did sibling-1 die from intractable seizures, central respiratory insufficiency, or from cardiac or pulmonary compromise? Was fetal ECG and echocardiography normal? Was an EEG recorded? In summary, it is not unusual that patients carrying POLG1 mutations manifest with cerebellar atrophy. Cerebellar atrophy occurs also frequently in MIDs due to mutations in genes other than POLG1. The genetic status of the parents should be provided and the entire clinical presentation of the two siblings should be reported in detail. JF: design, literature search, discussion, first draft, SZ-M: literature search, discussion, critical comments.